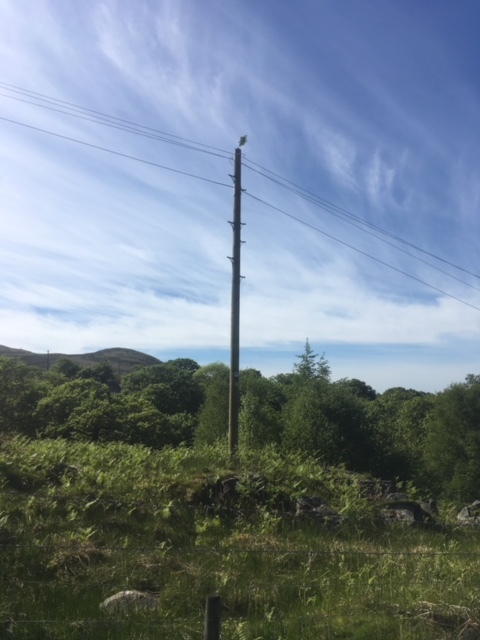 “After a recent visit to that place where it always rains, North Wales, (Llanberis actually) I also saw that rare blue thing you have also spotted whilst looking skywards for tall, wooden sticky up things. See pictures. 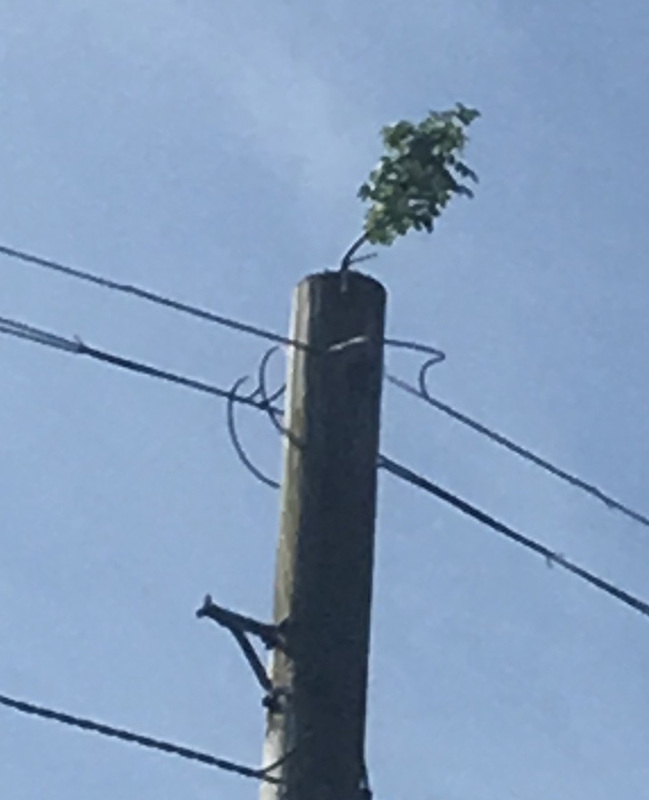 This pretty standard BT pole comes complete with its own self seeded Rowan tree growing out the top.